Yup, now that you mention it. I forgot that was an unlock and not there from the start. May I ask, have you played Undertale? It's an undertale reference in multiple ways is why they ask. Even the easiest setting in Devil Engine is harder than any Thunder Force game, and it's difficult in a way that isn't the slightest bit casual-friendly. Someone was comparing it to Infinos Gaiden earlier but that game is easy-peasy, not just relative to Devil Engine but in general. Yup, that was just after extremely brief impressions of both. I coincidentally spent some time playing both today and you're right, Infinos is a relative cakewalk. Sorry, but the PS4 version is rough. Runs at about 20fps and is quite unplayable for me. Damn, this is horrible. I'm playing on Switch, it runs at constant 30 FPS. But I was assuming to run at 60 FPS on the the most powerful consoles, not to run worse. I don't want to think how this runs on XBox One, given that Unity games tend to perform much worse than on Switch or PS4. 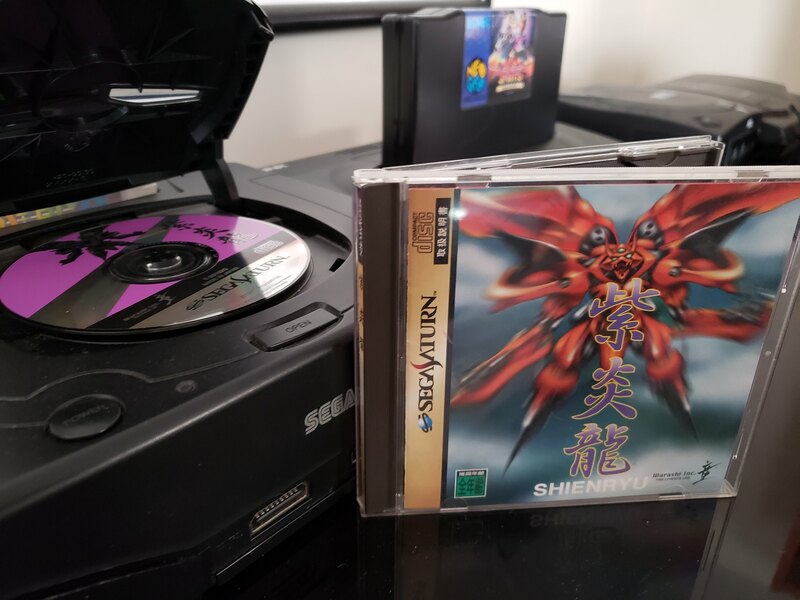 Finally got myself a copy of Shienryu for Saturn. I really, really enjoy this one. I finally decided to wipe one of my memory cards on Vita so I can use it for the Japanese PSN. So now I've got the first two Konami MSX Antique Collections, G-Darius, Thunder Force V, Harmful Park, and Zanac x Zanac on Vita. I've been on an MSX kick lately so I've been playing Knightmare and the MSX exclusive Nemesis 3, plus I've been playing the enhanced version of Gradius 2 (not II) on Salamander Portable. These MSX titles are seriously great games. I really want to buy an MSX. I'm sold. Just gotta decide between Steam and Switch. Recently grabbed Omega Five and Triggerheart Exelica, because they seem like the kind of obscure game that could disappear from the marketplace without warning. First impressions on Exelica are kinda meh, but Omega Five is basically Burai Fighter HD, and I'm riding the nostalgia wave. Omega Five is very loosely based on an old NES game with the awful title of S.C.A.T., as it happens. Hudson announced an Omega Five game for 3DS but then Konami happened. If I remember correctly, the Omega Five devs are the same people that made Wild Guns and a Ninja Warriors Again. I like their games. Not to rain on your parade, but how sure are you these aren't counterfeits? 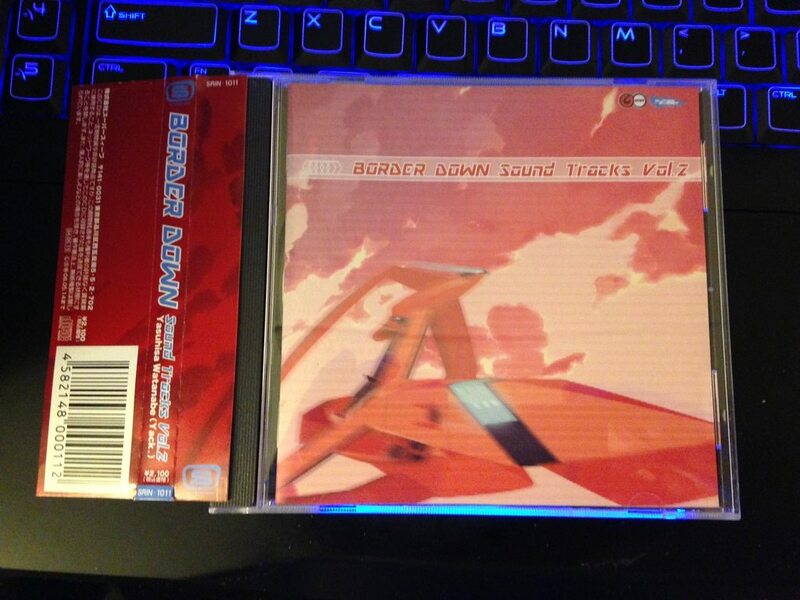 Expensive shmups tend to get bootlegged often and they never include manuals. Not sure if it's the case with v . v but 6 or 7 years ago I bought 2 copies of grindstormer and returned them because they didn't work. 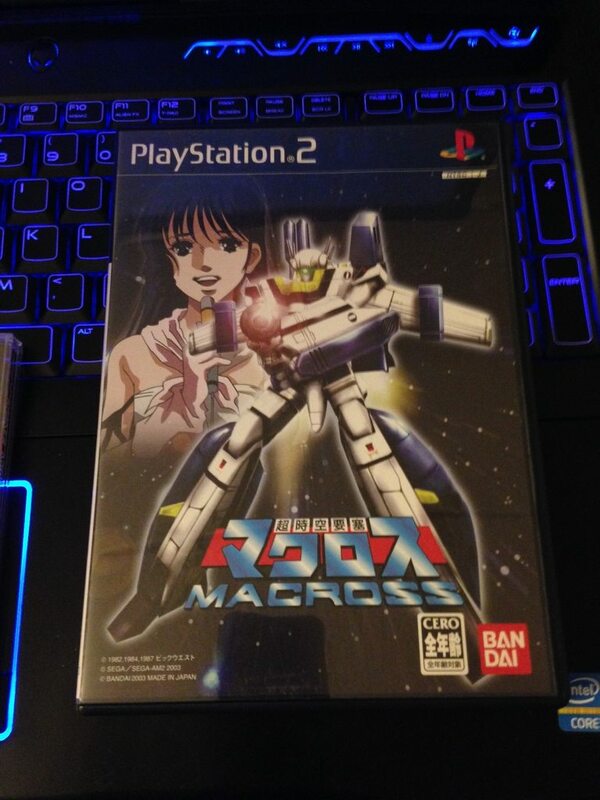 I am overdue for playing V-V but I was never sure whether I should start with the arcade version or the MD version since the former has better performance apparently but the MD version also comes with the Grind Stormer mode. Omega Five's not a great game, honestly--it's very short and clearly wasn't balanced for score, I wouldn't be shocked if it was rushed out the door--but if they made a sequel I'd give it a shot. I'd say stick to the arcade versions, the MD port isn't awful but by that point Toaplan had pretty much eclipsed what the MD could reasonably handle. Good to know, thanks. Really hoping we get a Toaplan collection at some point, though I know how unlikely that is. And a Compile collection. 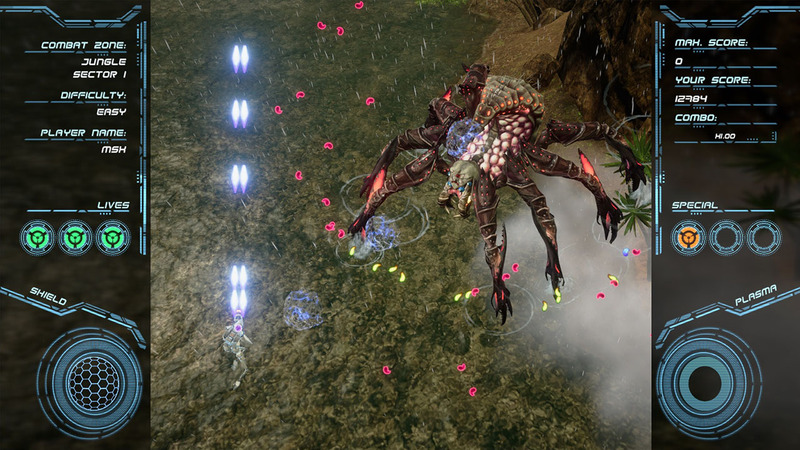 And for Konami to continue their new collection line with some collections of their obscure shmups. Toaplan's not completely out of the question, one of the old devs recently started up a company to manage the old IP and he has pretty much the entire catalog under his control. Compile's less likely, as those games are split between lots of different owners and not all of them are accounted for. I'm not even sure M2 could put out a complete Aleste collection. Gradius 3/4/5/Gaiden/Rebirth... they can (and should) still make a solid Gradius collection. Supposedly the problem with Grind Stormer is the boards, not the roms -- if you take the rom chips off of those bad boards and install them into working compatible boards instead, the game should boot up... Tengen used defective boards for some of their games, apparently. Anyone have thoughts on Gaia Seed, Shienryu, or Aldynes? I always see these when I browse the PSN but don't really know anything about them. Also I swear Sylphia was on PSN, but I guess not? Shienryu's a pretty decent game, it kinda splits the difference between Raiden and Truxton/Tatsujin. The PS port adds all manner of wacky optional crap including a sitcom laugh track, from memory, but the PS2 port's more or less vanilla. I've played a lot of BYTEPATH, ended up 100%ing and can highly recommend it. Its party piece is a big modifier tool kit and this game is for people who enjoy creating game breaking situations. The mayhem one can build is marvelous. 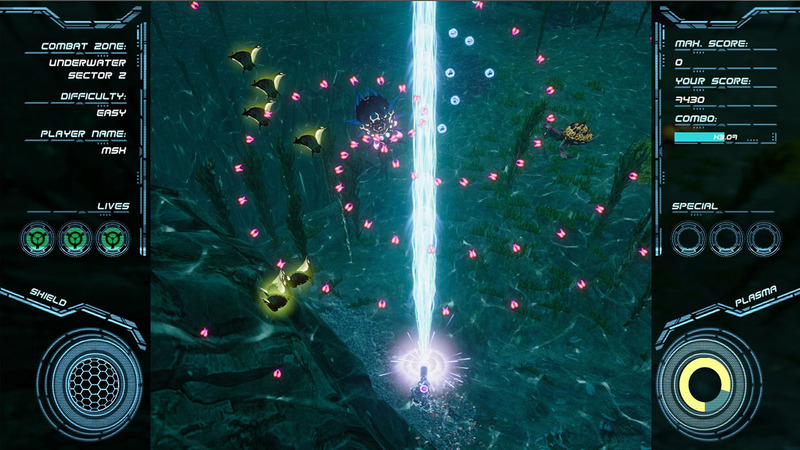 Players prone to epilepsy triggers should steer clear though, some of the visuals fx escalate as much as the action. I loved Shienryu on Saturn back in the day. According to the shmup forums Irem used to make pretty elaborate jokes but they were usually identifiable as jokes, whereas this seems pretty straight faced. Good to know. Guess I will check it out at some point. Day 1 if true. Give us the original as well. wait if this is an April Fool's joke, I'm going to be less than happy. 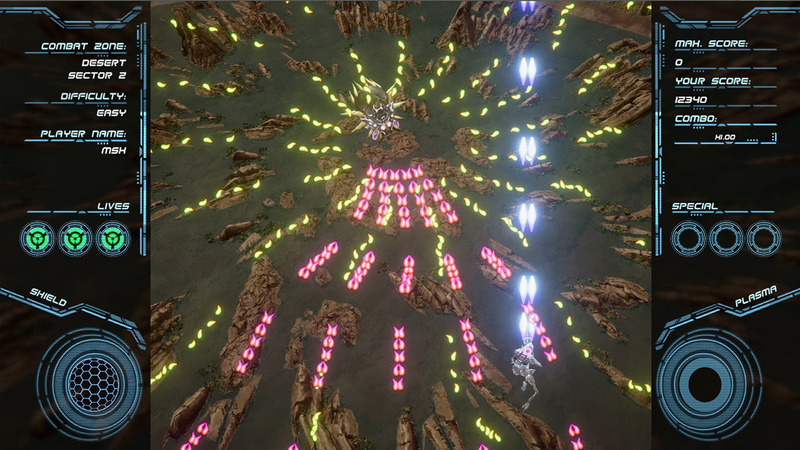 Dudes I just landed this awesome new shmup. It cost $600, but came with a free synthesizer. Seems pretty elaborate for a joke. Hope it's a reality. Here's hoping. If they can fit the original Final in as well... take my money. Says they're going for crowdfunding... this might be the first kickstarter thing I ever contribute to. Why did no one tell me that the original Zanac was such a good game? The game is rich with weapon variety and secrets to learn and exploit, plus a rank system (that's justified by the plot to boot). It's brilliant. one of my favorite, also try zanac x zanac for psx. I played Gaia Seed on PSN a bit and didn't come away impressed, I know it's rare and $$$ but it felt kinda slow and simplistic, but take my input with a grain of salt. I love Shienryu, actually just posted a pic a page or two back I think of finally getting the Saturn version. My friend and I have been playing the hell of it lately. One thing to note the PS1 version is 480i only and no tate mode. (not sure on the PS2 version) Saturn version is 480i in regular mode, but then 240p in tate. Its a lot of fun though, as was said it is kind of like a middle ground between Raiden and Truxton. Though I do feel like its closer to Raiden than Truxton, but I've put way more time into Raiden than Truxton. Freaking great shooter though IMHO anyway. Has anyone compiled a list of JPN shooters available on PSN that aren't on the US or EU markets? R-Type Final 2 seems totally legit. The company making it has Kazuma Kujo as the creative head. He's the producer/designer for the original R-Type Final among other things. They also confirmed it in Japanese on Twitter I believe. Out of curiosity: does anyone here play a lot of shmups on both Switch and PC? Recently, I've been trying my hand at Ikaruga and Danmaku Unlimited 3 again and one of the things I've wanted most is more precise control using my Switch Pro controller. Sometimes I feel like the controls are too sensitive and it's too easy to go flying into a bullet. Are controls generally thought to be better on a PC for shmups? Am I just bad at shmups? Or are the controls for some of these games sometimes just a little too loose? I'm so glad R-Type Final2 is seemingly legit! That's what I've been playing actually on my Vita. But I've been playing the Famicom version before I try Neo. I read through a guide on Zanac and I was blown away by the depth of the game. People shouldn't discount 8-bit shmups. Stuff like this and Recca are among the best the genre has to offer IMO. Good to know. I'll make it a lower priority. Thanks! I've been hearing a lot of good stuff about Shienryu. I like the idea of all the goofy options in the PS1 version but it sounds like the PS2 version comes with the sequel. So, any new worthwhile updates on shmups available for Switch? Particularly vertical ones that make use of tate. Emphasis on the "worthwhile".